Is BlogHer the place for small blogs still? I have been with BlogHer since 2010. I remember submitting the application with my then blogging partner. We were so nervous. She was a HUGE Pioneer Woman fan, and adored everything Ree Drummond. She found BlogHer by reading PW, and told me we should apply to BlogHer to have our blog published there. She wasn’t sure she would be accepted by herself as she was a homeschooling blog, but thought that my GLBT emphasis would help. So we applied and waiting with bated breath to hear back from BlogHer! We were sure being a part of BlogHer would propel us into blogger stardom. Of course looking back on that now, it just makes me smile. We were a very small blog. We had a tiny tiny readership and only 500 page views per month. Becoming a huge success like PW or The Bloggess was a one in a million chance. Not everyone is going to have crazy success. Just like not everyone who auditions for American Idol or The Voice wins. Only a small handful even make it to the show. People aspire for greatness, but in reality it only happens for a few, not the masses. But we crossed our fingers and waited. Then I received the email. We were in!!! We were so excited. We set up our site and started publishing on BlogHer. We were involved in the Book Club and would occasionally be able to jump in fast enough to be able to join a book review (those things filled up in a matter of just a few minutes, so you had to be FAST). We were paid a small fee for the reviews, and we were able to keep the book, and we also increased our readership. Those were exciting times. Then unfortunately, as they sometimes do, our partnership dissolved and I became a lone blogger. I reapplied to BlogHer and they were happy to have me back as just me. I was so happy to be writing on my own again. I was very small, as I was basically starting over. New blog, new blog name, new domain, everything. But being on my own was exhilarating. I had a slow start, but in 2012 and 2013 I had my heyday. I had quite a few blog posts featured on BlogHer. This one on Perimenopause, and this one about my Homeowners Association, this one about how Facebook Changed my High School memories, this one one about Karol’s inoperable brain tumor, and this one about Sequestration, as well as others. Interestingly that was all in 2013. It is almost August 2014. I have not changed my writing style, yet I have not been featured at all this year. In 2012 I published 48 blogs. In 2013 I published 62 blogs and was featured at least 6 or more times. In 2014 I have published 28 blogs, which is about the same as the same month in 2013, but have had NO blogs featured I find that interesting. I have written about Lesbian Bed Death, Entitled teens, The Hobby Lobby case and the scientific reasons about why their view of the offensive contraception was incorrect. Aren’t these relevant? Maybe I am just absolutely writing about the wrong things? But I don’t want to change who I am or the way I write or what I write about in order to be featured. Maybe I am putting the blogs in the wrong category for them to be “seen”? Maybe I am just too small. I really thought these pieces were relevant. Maybe I am just not writing the way they want anymore. In either case, I am surprised because just using basic statistics I should have been featured at least once. Now just for clarification, being featured is not being paid, but it does increase traffic to your site and therefore increases your revenue, even if only by a few cents. Also, in 2013 I was invited to be involved in quite a few advertising campaigns where I wrote an article about a product or website, and then had to promote them on Facebook, or Twitter. I did this at least 4 times, and was paid for each opportunity. I have not been invited to participate in any advertising campaigns in 2014. I found this surprising, so being a strong believer in “you only know if you ask”, I asked. I sent an email and asked why I had been invited to participate so many times last year, but not at all this year. The response I received was that while occasionally there are “very niche” programs that sponsors want small blogs for, you really have to have over 50k page views per month and “quality writing” in order to be considered for an ad campaign. This is because the ad space has “matured considerably”. However, my willingness to participate would be passed on to the proper people. That did not make me feel better about the situation. So it seems that if you don’t have at least 50k page views per month you will not be considered (except for “very niche” programs) to participate in sponsored programs for which you will get paid. 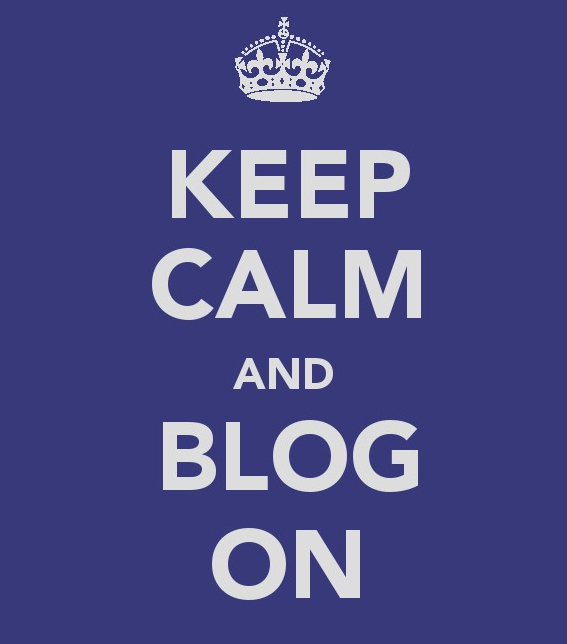 Instead of BlogHer being about small blogs and community it is now about reach and how many page views you have. Just for statistical purposes, I averaged 3198 page views per month in 2013 when I was asked to participate in ad campaigns. In 2014 I average 5562 page views per month, which is an increase of almost 2400 page views monthly. On the one hand, I am very happy for BlogHer that they have increased their popularity and influence and are able to have such high powered advertisers want to be on their site, yet I am saddened by the fact that the place I thought was so good for small bloggers may not be that place anymore. So I am truly wondering is BlogHer the place for small blogs still? I will continue to publish on BlogHer (if they still want me) because I do love the concept of BlogHer and the fact that I admire its founders so much keeps me an ardent supporter. But BlogHer I don’t want you to forget your roots. Maybe you could at least think about at least trying to still be the champion of small blogs and bloggers. Can you do that? I know longer publish my blogs on blogher. Just got bored on the site. Madgew recently posted..In the land of forests.